In 1935 the State Board of Licensure for Professional Engineers was established. Their mission is to safeguard the public through the proper regulation of the practice of engineering in the State of Main by maintaining the highest professional standards. The Board is comprised of seven members appointed by the Governor. 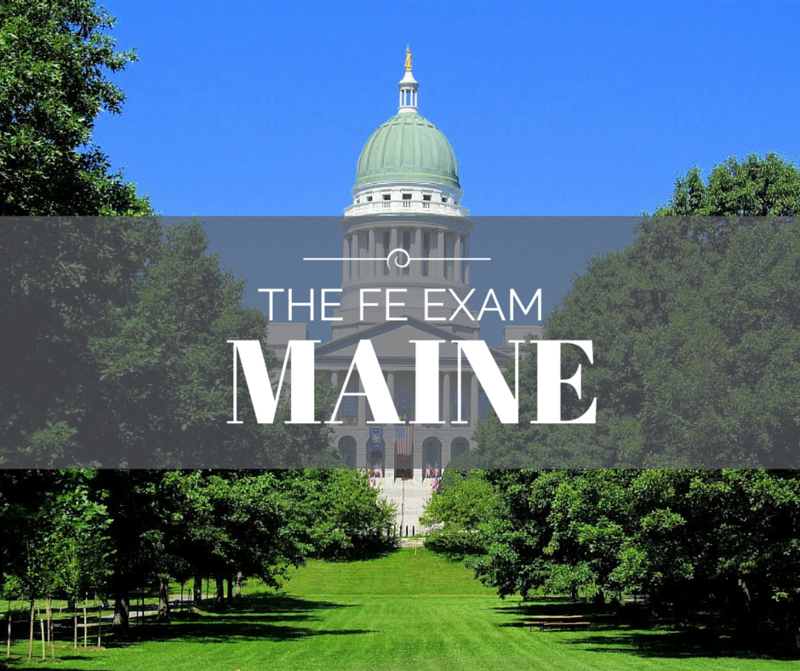 The State Board of Licensure for Professional Engineers will include the important details concerning the FE Exam Dates, FE Exam Costs, and locations for local FE Exam Reviews. Name Warren T. Foster, P.E. What educational programs are accepted for taking the Engineer in Training exam? Any EAC/ABET, TAC/ABET or Non-EAC/ABET, TAC/ABET accredited engineering program. However, further education and/or experience may be required prior to taking the PE exam if you graduate from a program other than EAC/ABET. See the Boards website for details. Are there any programs equivalent to EAC/ABET accepted for taking the Engineer in Training exam? Yes, programs accredited by the Canadian Engineering Accreditation Board, programs ABET accredits as substantially equivalent, and programs accredited by accrediting bodies from countries signatory to the Washington Accord or listed in ABET publications. Have further questions? Check the Frequently Asked Questions or visit www.maine.gov/professionalengineers/ to get the most up to date information.